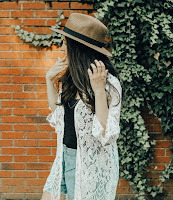 I wanted to write a quick post sharing a few of my favorite Free People pieces with y'all! If you follow me on Instagram then you know I how I love all things Free People. My entire pregnancy and postpartum I pretty much live in FP. So many of their pieces are flowy which is what I need. Am I still aloud to say postpartum? She is already five and a half months old! 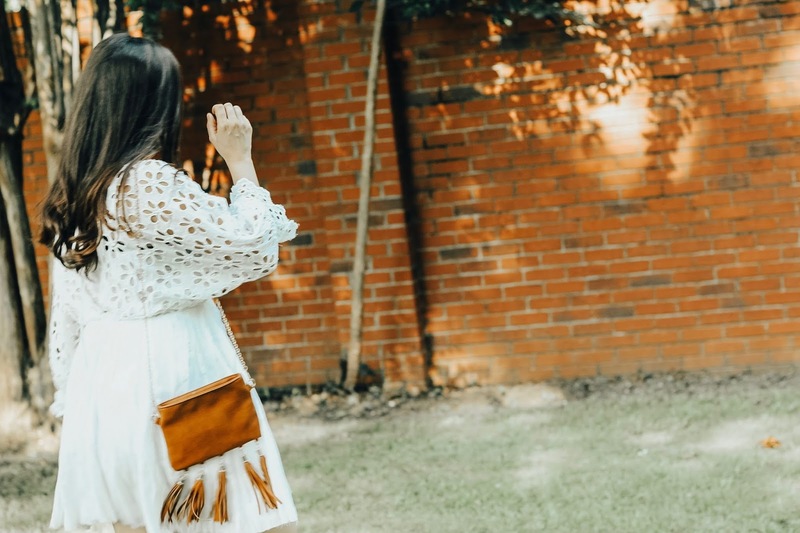 I shared this white dress a few months ago and it's by far one of my favorite Free People pieces I've ever worn. It's currently 40% off! If you live in the south or around warmer weather like I do then this dress is still a must. It also comes in orange and black- both great for fall! You can shop it HERE. Now I wanted to show you a few of the other's I'm currently loving and guess what? They are ALL on sale too. Shop them below! 1. This one also comes in blue and black- shop it HERE. 2. This one I wore on repeat those first few weeks being home from the hospital. It is SO comfy. Shop it HERE. 3. Perfect for Fall- shop it HERE. 4. The perfect white (black or orange) Dress- shop it HERE. 5. Another fall must have sweater- shop it HERE. 6. I sized up and wore this one at the end of my pregnancy- shop it HERE. 7. I love this read for the cooler months- shop it HERE. 8. I have this one but haven't tried it on yet- I'll share more on it next week but it's on sale now- shop it HERE. Seriously one of my favorite dresses by Free People. I hope you guys have a great rest of the week! A new Youtube video is currently uploading. Be sure you are subscribed to my channel so you don't miss it! I love Free People but sometimes it's a little pricey. Thank you for finding some more affordable options! I like the free flowing style of the tops and dresses. They look very comfortable. such pretty choices and I love your outfit!! They have some seriously GORGEOUS options <3 I wonder if it is available to ship to Canada?? I am going to check it out for myself and see what I can snag! 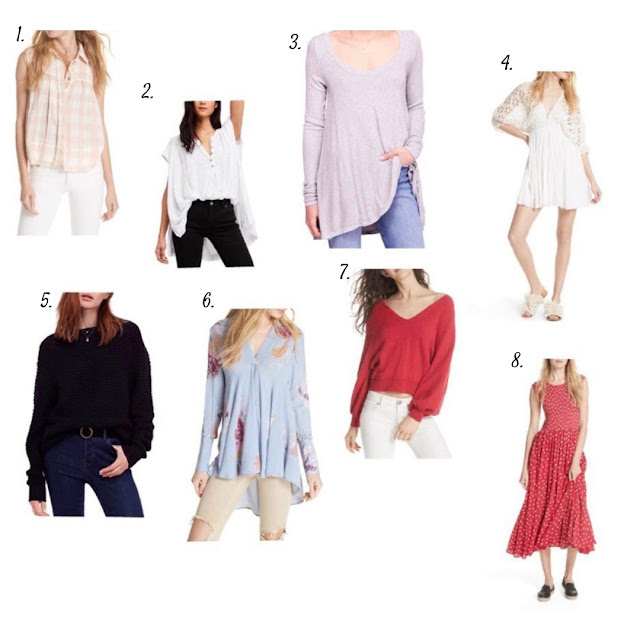 I am loving the flowy tops that you picked - especially number 3! I love simple yet chic pieces that I can wear everyday. Free People on sale is a win-win, mahalo!